Reston, Va. – Brain cancers are difficult to treat, and it can be hard to predict whether a therapy will be effective. When the patient is a child, it’s even more important to predict the potential effectiveness of a drug before beginning treatment. In this first ever molecular drug-imaging study in children, researchers in The Netherlands used whole-body positron emission tomography/computed tomography (PET/CT) scans to determine whether bevacizumab (Avastin) treatment of diffuse intrinsic pontine glioma (DIPG) in children is likely to be effective. The study is featured in the May 2017 issue of The Journal of Nuclear Medicine. 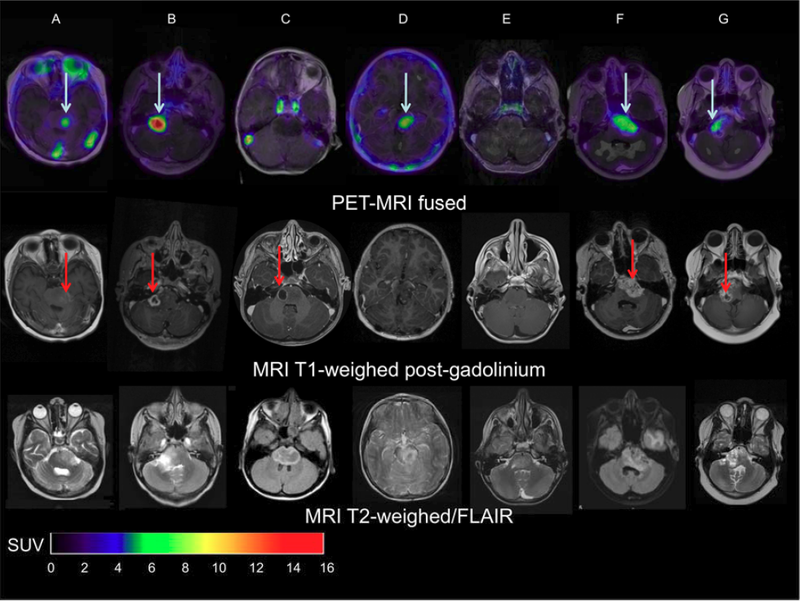 The authors of “Molecular Drug Imaging: 89Zr-bevacizumab PET in Children with Diffuse Intrinsic Pontine Glioma” include Marc H. Jansen, Sophie E.M. Veldhuijzen van Zanten, Dannis G. van Vuurden, Marc C. Huisman, Danielle J. Vugts, Otto S Hoekstra, Guus A. van Dongen, and Gert-Jan L. Kaspers, VU University Medical Center, Amsterdam, The Netherlands.